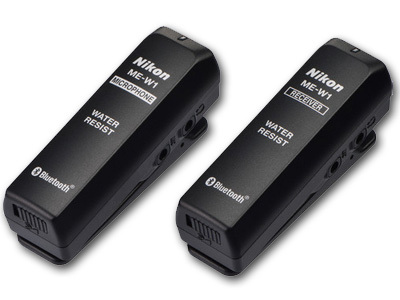 Record monaural audio from subjects from up to 164' away with the water-resistant ME-W1 Wireless Microphone Set from Nikon. 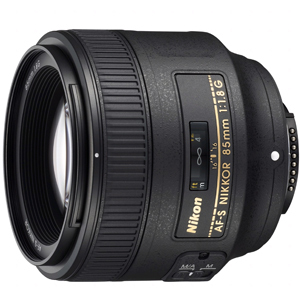 The mic uses Bluetooth connectivity and is compatible with all Nikon DSLR, Nikon 1, and COOLPIX cameras that have a 3.5mm microphone jack. The set includes a microphone, receiver, windscreen, audio cable, and a case. Both the microphone and the receiver capture audio, allowing you to record voices of both the photographer and the subject. Headphones can be plugged into both the mic and the receiver so that both parties can hear each other when shooting at a distance. Stereo recording can be achieved by connecting the optional ME-1 microphone to the ME-W1.